Flatliner is the response to the brief of Established & Sons, a leading British furniture and lighting design company, to develop an innovative LED lamp for its expanding lighting collection. 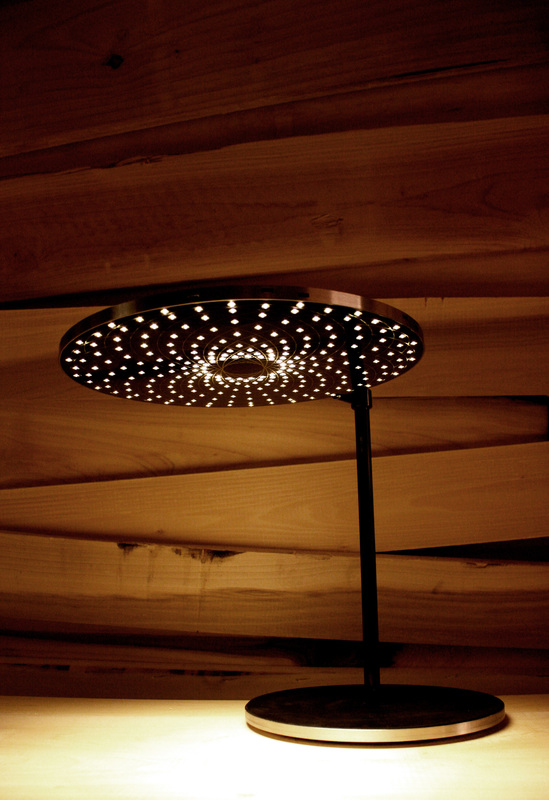 The lamp uses 280 surface mounted warm white LEDs arranged in a pattern driven by a micro controller. 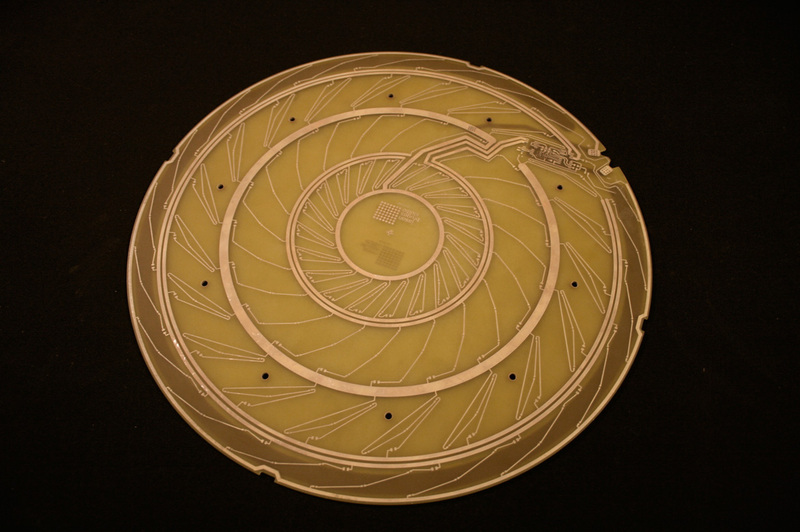 The LEDs are laminated between two acrylic discs. Each disc comprises two layers, one clear and one black, which have been bonded together. The clear layer has an etched pattern which enhances the LED arrangement and the black layer has holes that the LEDs nestle in to focus the light forward. 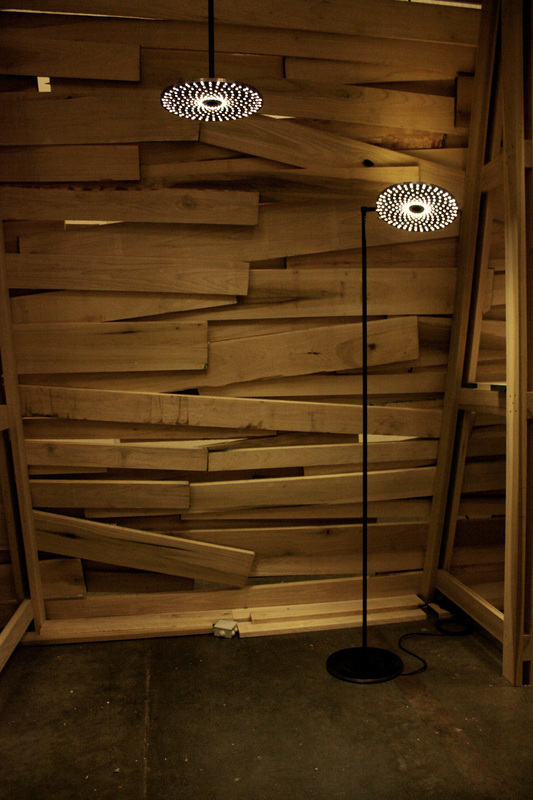 The lamp is supported by a multi-directional arm and can be dimmed by touching the side of the lamp. 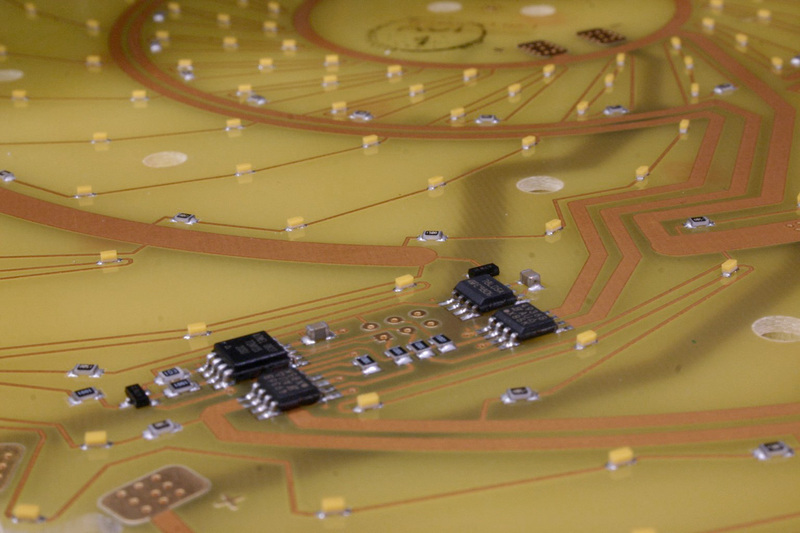 The embedded micro controller allows for infinite dimming styles to be developed. 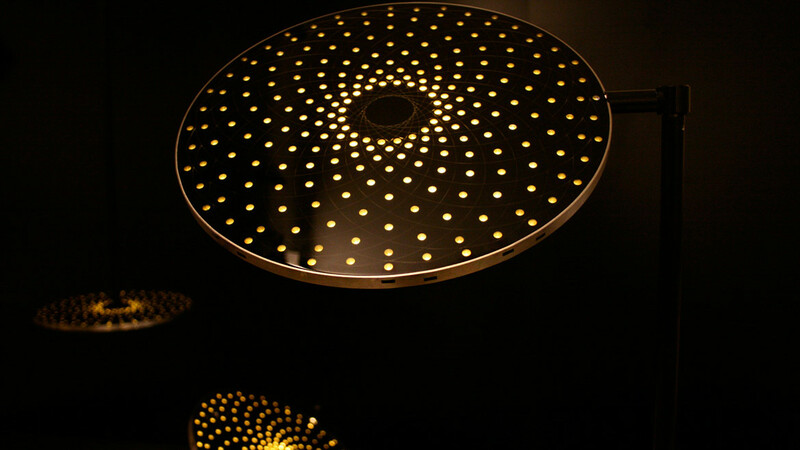 The Flatliner was exhibited at the 2009 Milan Furniture Fair at the Established & Sons stand. The project was completed at Jason Bruges Studio.